As someone whose had quite some experience in dealing with boys, I feel qualified to give this advice. You see, men and women are different, and there are just so many things a man in love can do to get the attention of his love interest that you as a lady is not allowed to. Under no circumstance should you come off as desperate. You see, unlike women who may enjoy a much more aggressive show of affection, most men don't. Take this from someone who has been there once. Once, when I was still a naive little virgin, there was this guy that I found myself really liking. And what did my young, inexperienced brain tell me to do at that time? "Go and meet him and tell him exactly how you feel!" -- this was what my small, short-hair-covered head told me to do. But it was not just wrong, it was catastrophic. One evening, I finally put all my strength together, walked up to this fine boy and told him exactly how I felt. He just stood there for only God knows how long, just staring at me. Then, finally, he moved a little, put one hand to his chin and said: "Wow!" Then he made the show of nodding and added, "Thanks!" Imagine a stranger's response when you hand him back his wallet you picked on the floor. In my opinion, the best way to let a boy know you really like him is to flirt with him, very subtly. Never be direct with your feelings, or go full pestering mode on him. Best way to flirt? -- you can make a funny joke about him or something he owns and walk swiftly away. Let him know you see him, but you are also a very busy girl whose life does not revolve around a boy. The idea is to get noticed and not to show him how many nights you've lost sleep thinking about him. If you want a boy to like you back, you have to get him to chase you himself. Because the more you chase him yourself, the farther away he runs from you. Unless he is fat, and in that case he'd fall easily and you can jump right on him. Fine and fit guys present an entirely different situation though. Worst case scenario, he will use you to service his dying ego when among his friends and they are talking those nasty useless things they always talk about. He will tell them all about you, how you have been dying for him and all, and they will respond with surprise and laughter. And believe me, once his friends have laughed about you, the possibility of him starting anything serious with you plunges to its barest minimum. Boys, those creatures are the most peer-influenced beings on earth. No matter how much they try to convince themselves, and you, that they are grown, independent and free from external pressure, just know his circle's opinion will continue to matter. If his friends are buying cars, he is probably already saving to get one too. If they are travelling abroad, he has probably started thinking about selling his father's house. If all his male friends want you, he definitely will want you too. If they don't, then he won't be so bothered either. Everything is all about status to them. So back to the topic, you got to realize that the bottom line is getting yourself noticed without laying it all bare and free for him. For the more you give, the more you can be taken advantage of. Or you can just save yourself the stress and become a feminist and then marry a gay man! 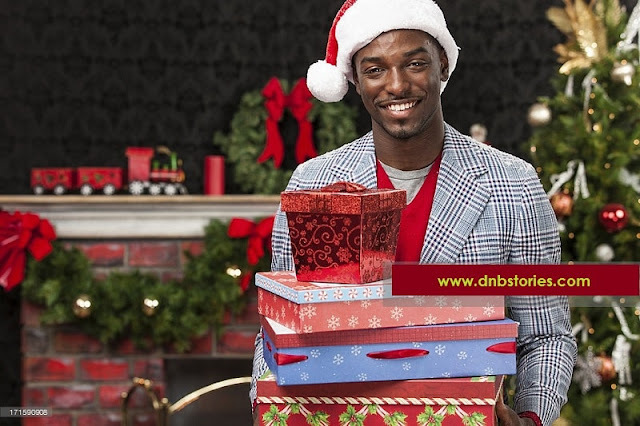 This article is written exclusively for DNB Stories, edited by Daniel Nkado.